“Like father, like son” is a term commonly used when comparing the likeness of a son to that of his father, whether it be looks, personality or tendencies. 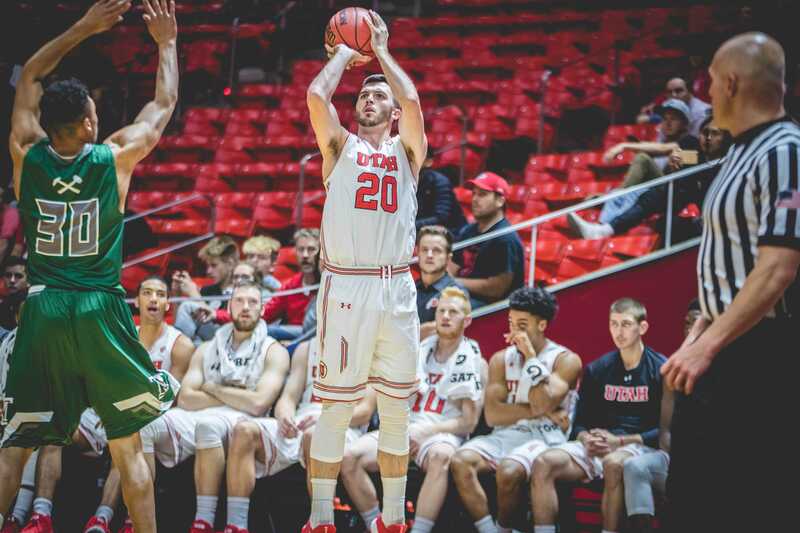 For University of Utah junior basketball player Beau Rydalch, the similarities between him and his dad go beyond physical ones. Rydalch is following in the footsteps of his father and living out his dream in playing basketball at the U. 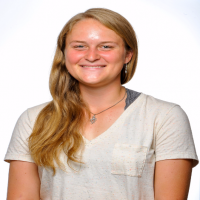 A psychology major, Rydalch grew up in Oakley, Utah, just an hour outside of Salt Lake City. He is one of Kena and Craig Rydalch’s three sons. Like many kids growing up in Utah, Rydalch was raised a Utah fan. Both his father and his uncle played basketball at the U when they each attended the university. 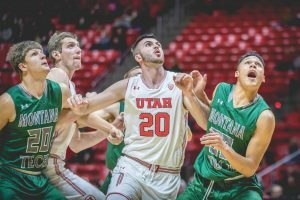 His father played a big role in inspiring Beau Rydalch to attend the U.
Craig Rydalch played basketball with the Utes from 1989 to 1992 under head coach Rick Majerus. 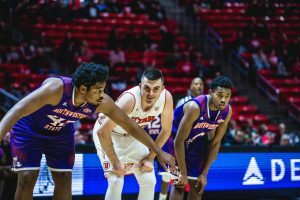 Craig described his time with Majerus as “tough to play for,” but at the end of his time with the team, he had built up a strong relationship with Majerus and the experience was one that was key for him. Growing up, Craig coached Beau to set the fundamentals for the athlete that he is today. Beau remembers seeing his father in the stands at every high school basketball game cheering him on, offering both advice and coaching points. Craig’s main contribution to Beau’s athletic success was stressing the importance of fundamentals in the game. This was something that was ingrained in Craig from Coach Majerus, and it is what he passed on to his son. Even though Beau always dreamed of playing at the U, that dream was not always a reality for him, and there were times when he doubted that he would get to wear the red and white uniform that his father wore before him. However, through hard work and perseverance, Beau received an offer from the team, and he never looked back. Beau is a hard worker on and off of the court, and that is what people know him for. He has pushed through everything that has been thrown at him. In his three years at the U, Beau has built up a community within the team and the athletic department. He mentioned that this is his dream, and he is living happily in it. Beau has found a second family in the team, and they are his best friends. Beau fell in love with the game naturally, and that love strengthened with every Utah and Jazz game that he attended with his dad. Following in his dad’s footsteps as a Ute is what he has always wanted.